Prescription addiction is a national problem in the United States. Although there has been some public acknowledgement of its existence in general terms recently, the real scope of how deep and pervasive prescription addiction is in this country is still mostly hidden from public view. Because of this, Big Pharma and the medical profession still pushes the two classes of drugs – central nervous system (CNS) depressants (“downers”) and central nervous system (CNS) stimulants (“uppers”) – at the core of prescription addiction insistently and without restraint. Of course, we, the people, bear equal responsibility for our dependence on these brain-altering chemical concoctions because we have bought into a false and illogical idea that life should be shiny and happy, full of rainbows, unicorns, and lollipops all the time. We have lost the truth of what the price of being alive includes: good times, bad times, stressful times, sad times, and in-between times. Each of these natural seasons in our lives – and the chemical reactions they initiate in our brains to prompt action – serve a purpose in shaping and forming who we become because they build strength, build character, build patience, and they serve as catalysts for positive growth and change. When we lose the courage to see these normal seasons through – even when they involve emotional and mental pain that may, at times, seem like it will never end and like it is unbearable (this is where we stretch and grow as human beings: when we bear the unbearable and endure it until it becomes more bearable) because everything we see is painted black – to their conclusion until the next time they come around, we, through pharmacology, essentially put ourselves and our lives on perpetual mute. In addition to what we do to our lives is the neurological roulette these medications play with our brains, altering – perhaps permanently – the chemical structure of the brain itself, which with long-term use and dependence could very well lead to our developing a lifestyle dementia. I recently read a book and an article about the unrestrained prescription and use of CNS depressants and stimulants, which continues to this day, in the United States with both the general public and the military. I highly recommend reading both of them. The book was The Age of Anxiety: A History of America’s Turbulent Affair with Tranquilizers by Andrea Tone. Having never taken any of these kinds of medications myself – they both terrify me and I personally believe that our natural neurological chemical responses were designed to serve as warnings and indicators we have that increasingly (to the point of being overwhelming at times) urge us to stop, leave, or change whatever is causing them – but knowing that they have become ubiquitous in modern life, I still was surprised by this book. Tone has done her homework. She shows how pharmacology became entrenched in American culture beginning with the development of minor tranquilizers in the 1950’s to replace, as a supposedly benign, non-addictive, and safe mood stabilizer, the more dangerous barbiturates (which factored prominently in the deaths of Marilyn Monroe, Judy Garland, and Elvis Presley during their heyday). Everybody, it seemed, took them and they were publicly and openly endorsed as an essential part of living and achieving the American dream. These medications were cheaper than traditional psychotherapy, achieved almost immediate results (as opposed to the long-term results of the psychologist/patient relationship that psychotherapy by its nature engendered), and seemingly did no harm. Even more alarming, in my view, was that these were also frequently prescribed in conjunction with amphetamines, and it was not uncommon for people to take amphetamines during the day to be up and alert and take minor tranquilizers at night to sleep, just as it was equally common to eat minor tranquilizers like candy throughout the day. 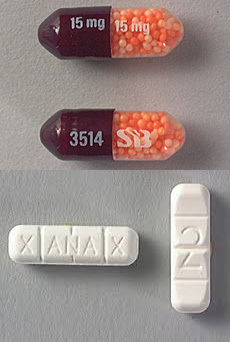 Tone also shows how the Cold War era in the United States – and the high anxiety it produced in most Americans – was the perfect environment for the introduction and continued development of prescription tranquilizers (Librium, Valium, Xanax, and Paxil, among many others whose names are commonplace now, are in the class of medications). With these tranquilizers came the development of Big Pharma as we know it now. These medications were heavily marketed to both doctors and the public with advertising budgets that were huge, “detail people” (pharma sales reps) who courted doctors with money and stuff in exchange for more prescriptions, and, as a result, primary care physicians – who did not (and do not even today) understand the ins and outs of brain chemistry and addiction – replaced psychiatrists as the main prescribers of these brain chemistry-changing drugs. It was not until the late 1970’s and early 1980’s that the nefarious dark side of these medications became apparent: when people tried to stop taking them, often cold-turkey, and leaving permanent – and sometimes fatal – damage (physical and neurological) in their wake. However, despite this, Big Pharma and PCPs continue to promote these medications freely and without hesitation or caution (and they are still big moneymakers for Big Pharma) for a large segment of the American public. 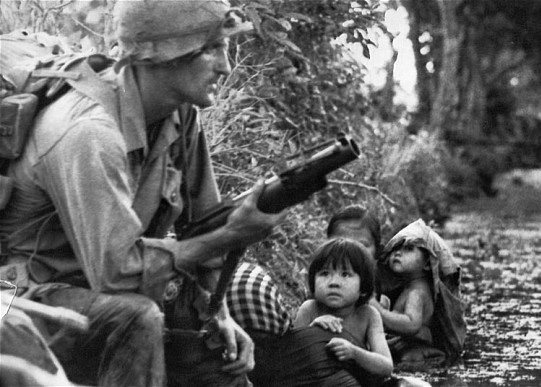 It is really no surprise, given their popularity and acceptance during the 1950’s and 1960’s, that the everyday use of tranquilizers and amphetamines became part of normal warfare when the United States’ foolhardy decision to fully engage in a fight that had previously been a long-term losing battle for the French in Vietnam beginning in the 1960’s. These kinds of drugs are still an entrenched part of American warfare to this day. The article discusses what happens when tranquilizers and amphetamines are part and parcel of a soldier’s engagement in combat as well as the aftereffects when they come home and are no longer in combat situations. It should be no surprise that neurological issues and problems seemed to really become a widespread problem with military veterans beginning with those who came home from Vietnam. The reality is, though, that for those Vietnam veterans who, by some miracle, have survived until now, the long-term neurological effects may be beginning to manifest themselves in the development of a lifestyle dementia. Time will tell as research catches up with these veterans in their senior years, but I suspect that the research will show a causative link between tranquilizer and amphetamine use and dependence (a substantial number of veterans were never able to overcome addiction to these, and many of this number moved on to even more dangerous psychoactive substances) and the development of dementia. All of us Americans should wake up and pay attention and kick the prescription addictions many of us have developed – even though kicking them will be short-term hell – and save our brains while we’re still able. Such a powerful post. I have a brother who came home from Viet Nam and he is now in the mid stages of dementia, so what you said is so true. I have a book on drugs, before I take anything a doctor decides I need to ingest, I read about the side effects. Then I seldom take any drug. Have never understood why people cannot deal with all aspects of life without tranquilizers. I will not let myself be “hooked” on any drug. Life is too precious. Good, common-sense approach to all medications, my friend. I’m sorry to hear that you have yet another brother, a Vietnam veteran no less, going through the journey of dementia. Much love, hugs, and prayers to and for you and him. Those who think dementia cannot touch them – should think twice. I lost my Mother, Sister, and Brother to dementia and am on the road to losing my younger brother. Never think that dementia cannot touch you. Thanks for you prayers and love my friend. Always, Liz, count on my prayers and love. It never ceases to amaze me how much avoidance people practice when they don’t want to think about something touching them, and dementia is one of those things. It’s the elephant in the room that nobody talks about.